Grumpyface Studios: Castle Doombad free "Slaycation" content update available now! Castle Doombad free "Slaycation" content update available now! Even Bad Guys need a getaway. 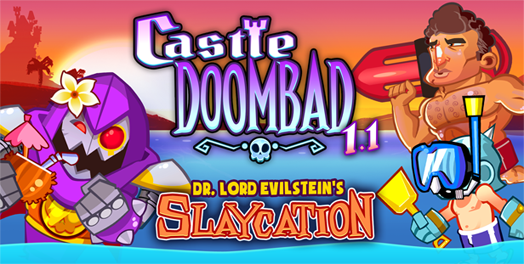 Help Dr. Lord Evilstein defend his luxurious vacation castle from an onslaught of do-gooders seeking to rescue their princesses!